If you're having trouble viewing this email, click here to open in your browser. And it takes a diverse team. Liskow & Lewis has a deep bench of talent in all types of matters involving oil and gas operations on the federal Outer Continental Shelf. Our lawyers are experienced in a wide variety of matters involving OCS oil and gas properties. We regularly advise domestic and foreign clients on a host of decisions facing offshore operators and other interest owners, including initial entity selection, qualification to own and operate federal offshore leases, obtaining approval of assignments and other conveyances, and satisfying bonding requirements. We also provide title opinions and title analysis and perform curative title work for offshore properties, and we frequently assist clients with offshore mergers, acquisitions, and divestitures. From the inception of the federal offshore leasing program in the 1950s and into the 21st Century, Liskow & Lewis has been counsel in many of the landmark decisions affecting offshore oil and gas operations. We have regularly provided advice and representation to clients on the interpretation and application of all major pieces of legislation governing such operations, including the Outer Continental Shelf Lands Act, the Federal Oil and Gas Royalty Management Act, the Federal Oil and Gas Royalty Simplification and Fairness Act, the Deep Water Royalty Relief Act of 1995, the False Claims Act, the Coastal Zone Management Act, the National Environmental Policy Act, the Oil Pollution Act of 1990, and associated regulations. Liskow & Lewis is at the forefront of the ever-changing regulatory landscape affecting offshore operations. We have assisted our clients in shaping regulatory change by representing them in the Department of Interior’s notice and comment rulemaking process. ﻿Liskow & Lewis further has extensive experience in navigating the complex regulations governing the calculation and payment for royalties to the federal government, including issues arising from affiliated transactions, the marketable condition rule, post-production costs, gas contract settlements, determination of market value (including the use of posted prices to value crude oil), statutes of limitations, and royalty relief. In addition, we routinely represent clients before the Bureau of Safety and Environmental Enforcement, the Bureau of Ocean Energy Management, and the Interior Board of Land Appeals in connection with disputes over lease maintenance, compliance with regulations governing OCS operations, and defense of Incidents of Non-Compliance and the threatened imposition of civil and criminal penalties. The lawyers in our federal offshore practice area work closely with our environmental and business sections in matters related to exploration, development, production, transportation and marketing of oil and gas reserves. We believe that this collaborative approach to client service provides us with the unique ability to provide comprehensive and integrated assistance to our clients in all areas of energy law simultaneously, allowing us to take your project from inception to completion in the most streamlined and efficient manner possible. 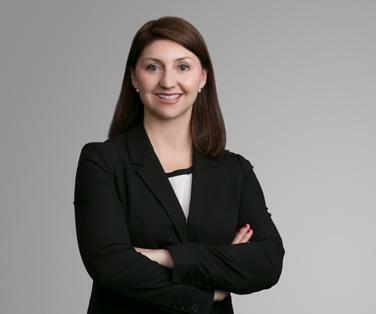 Jana has more than 20 years of experience advising clients on federal offshore matters, including issues with respect to payment of federal royalties such as responding to and appealing Office of Natural Resources Revenue audit findings and orders to pay. She also advises clients and handles appeals of Bureau of Safety and Environmental Enforcement orders and Incidents of Non-Compliance related to inspections, decommissioning, and other operational issues that affect federal offshore lessees and holders of rights-of-way and rights-of-use and easement. Jana assists clients with qualification, bonding, and assignment of interests required to be approved by the Bureau of Ocean Energy Management, as well as other day-to-day regulatory issues. She negotiates and provides advice with respect to offshore oil and gas contracts, including purchase and sale agreements, farmouts, joint operating agreements, production handling agreements, services agreements, lease and use agreements for platforms and pipeline assets, and midstream agreements such as gathering, transportation, and interconnect agreements. She also litigates and arbitrates disputes involving these same agreements, as well as construction and installation agreements. Jana is licensed in Louisiana and Texas. She is a trustee for the Rocky Mountain Mineral Law Foundation and she co-chaired the RMMLF’s Federal Offshore Leasing and Development seminar held in April 2018 in New Orleans, Louisiana and also its Federal Offshore Regulatory Enforcement seminar in January 2017 in Houston, Texas. 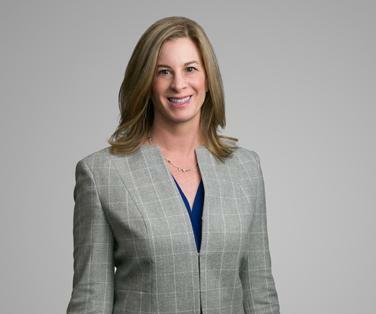 Jana also currently serves as Managing Partner of Liskow & Lewis’ Houston office, is a member of the firm’s board of directors, and is a leader of the Houston office’s oil and gas practice group. Steve’s practice focuses on complex regulatory issues impacting onshore and offshore oil and gas operations. He advises clients on a wide range of regulatory matters, including compliance with operational and safety requirements, appeals of Incidents of Non-Compliance and civil penalties, matters related to facility decommissioning, incident response and investigations, National Pollutant Discharge Elimination System permit compliance, and the applicability of federal statutes including the Outer Continental Shelf Lands Act, Clean Water Act, Oil Pollution Act, National Environmental Policy Act, Endangered Species Act, Coastal Zone Management Act, and Freedom of Information Act to the various stages of the mineral development process. He has handled numerous administrative appeals before the Department of Interior Board of Land Appeals and has represented clients in administrative matters before the Bureau of Safety and Environmental Enforcement, Bureau of Ocean Energy Management, Environmental Protection Agency, Louisiana Department of Environmental Quality, Louisiana Department of Natural Resources, and other agencies. Collette has more than 10 years of experience in the energy industry focusing on oil and gas acquisitions and divestitures, including negotiation of purchase and sale agreements, onshore Louisiana and Outer Continental Shelf mineral title examination, energy related contract drafting such as joint operating agreements and production handling agreements, and pipeline issues. She has served as a member of the Board of Directors of the Professional Landmen’s Association of New Orleans, and is an active member of the American Association of Professional Landmen, and the Rocky Mountain Mineral Law Foundation. Collette regularly advises clients regarding transfers of Outer Continental Shelf leases and rights-of-way ranging in size up to in excess of $1 billion, including providing guidance to clients regarding Bureau of Ocean Energy Management and Bureau of Safety and Environmental Enforcement requirements for acquisition and divestiture of Outer Continental Shelf assets and related operatorship changes, unitization issues, financial assurance matters, decommissioning obligations, and oil spill response plan compliance. 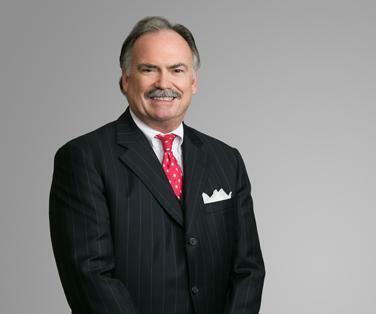 Tom is an experienced energy industry and maritime lawyer who assists domestic and overseas clients in civil litigation as well as state and federal regulatory matters. 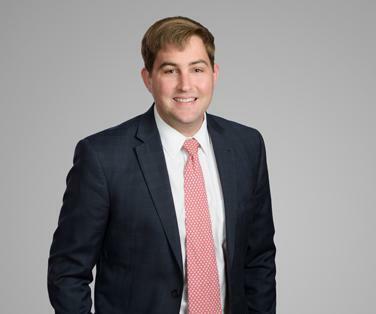 His clients are often U.S. corporations facing exposures arising from incidents in the Gulf of Mexico as well as onshore facilities along the Gulf coast and on the Mississippi River. 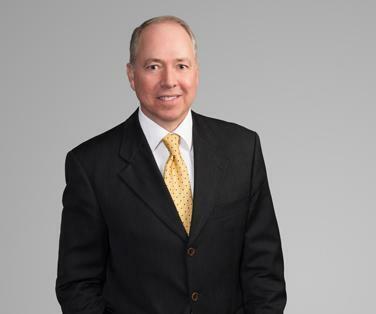 Tom has practiced maritime law for over 25 years and has supported clients with their onshore and offshore incident investigations, regulatory compliance matters, and civil litigation. In the course of such representations, he frequently interacts with representatives of the Occupational Safety and Health Administration, the Bureau of Safety and Environmental Enforcement, the National Transportation Safety Board and the Coast Guard. Tom and his team work cooperatively with regulators who often benefit from and appreciate the insights and expertise developed in the course of incident investigation. Carlos has been involved in federal offshore matters for almost 12 years, first as an offshore environmental specialist with a major oil and gas company, and since 2010 as an attorney with Liskow & Lewis. 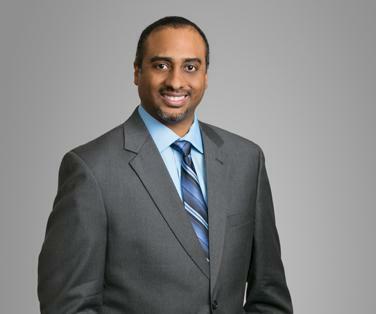 His legal practice includes advising clients on environmental requirements applicable to offshore operations. Carlos has deep knowledge of the Environmental Protection Agency’s National Pollutant Discharge Elimination System general permit for the Western and Central Gulf of Mexico Outer Continental Shelf and regularly advises clients in matters related to the general permit. He has extensive experience with the Oil Pollution Act, including claims handling. He advises clients on spill response planning and financial responsibility, spill reporting, and spill regulatory liability. Carlos also provides guidance to offshore clients on environmental aspects related to the Clean Water Act, Clean Air Act, Outer Continental Shelf Lands Act, Coastal Zone Management Act, Occupational Safety and Health Act, Resource Conservation and Recovery Act, and the regulations related to these statutes. Liskow & Lewis is an Associate Member of the Offshore Operators Committee and Carlos regularly attends OOC meetings on behalf of the firm. 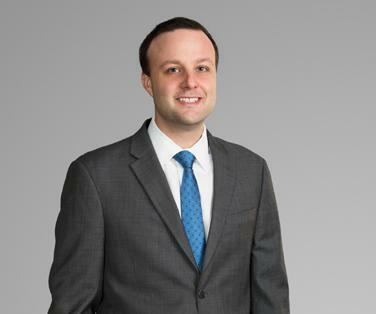 Josh has extensive experience representing and advising clients in matters concerning offshore oil and gas production, particularly from federal leases in the Gulf of Mexico. He frequently assists and provides advice to clients on a host of regulatory matters concerning the federal agencies regulating offshore production, such as the Bureau of Ocean Energy Management, Bureau of Safety and Environmental Enforcement, and the Office of Natural Resources Revenue, and he has represented numerous clients in appealing and contesting orders from such agencies. Josh also regularly negotiates and provides advice to clients on offshore contracts related to both upstream and midstream operations. Representative examples include purchase and sale agreements, farmout agreements, joint operating agreements, production and handling agreements, master service agreements, and many other such operational contracts. Josh has also helped clients negotiate contracts for the construction and operation of major offshore facilities, such as floating production platforms. Carson advises upstream oil and gas clients on Outer Continental Shelf regulatory, commercial, and land matters. He supports clients through every stage of lease exploration and development, frequently stepping in to help resolve high-stakes disputes with the Department of Interior. Representative areas of expertise include: federal royalties, suspensions of operations and production, Outer Continental Shelf unitization, Bureau of Ocean Energy Management lease bidding procedures, Bureau of Ocean Energy Management civil penalties and Incidents of Non-Compliance, lease decommissioning, and supplemental bonding. Carson regularly handles appeals of agency decisions before the Interior Board of Land Appeals and in federal court. 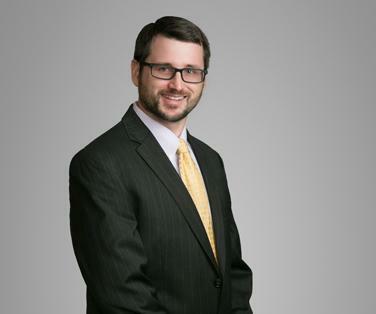 In addition to his regulatory practice, Carson provides support to the firm’s oil and gas transactions team and has experience drafting various types of commercial agreements, performing due diligence for Outer Continental Shelf acquisitions and divestitures, and representing borrowers and lenders in energy-related financings. He also represents clients around the country in major federal litigation under the Coastal Zone Management Act, the Outer Continental Shelf Lands Act, the National Environmental Policy Act, the Oil Pollution Act, the False Claims Act, and other statutes relating to energy and the environment. 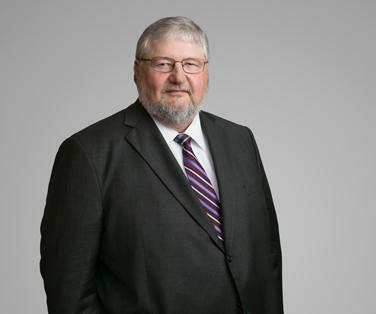 John has more than 35 years of experience working with clients on the tax issues involved in their oil and gas transactions, including property and company purchases and sales, joint ventures and structured financings. With his more than 8 years of experience working with the offshore group at Liskow, he has become intimately familiar with the tax issues associated with planning complex transactions in the Gulf of Mexico. He assists clients with creative transactional structuring that typically solves difficult issues otherwise preventing the parties from closing the deal. John has represented clients before the Internal Revenue Service on audits, administrative appeals and private letter ruling requests. He is a regular speaker on tax issues in oil and gas transactions, and his published articles on tax issues in oil and gas joint ventures and purchase and sale agreements are known throughout the US oil and gas industry. Marilyn has been involved in transactions on the Outer Continental Shelf for 43 years. She represents energy companies and lenders in purchases and sales and financings of oil and gas-producing properties and mid-stream assets and construction of pipelines, platforms and other facilities affecting properties onshore and on the Gulf of Mexico Outer Continental Shelf. Marilyn has helped clients with dozens of financing and regulatory matters, such as complying with obligations to plug and abandon wells and decommission other facilities, assuring sellers of such facilities of the buyer’s performance of such obligations. She has represented borrowers and lenders in secured lending transaction, advising regarding creation and perfection of mortgage liens and security interests in fixtures, production, and other personal property. She has assisted operators and non-operators in the perfection of liens created pursuant to joint operating agreements. 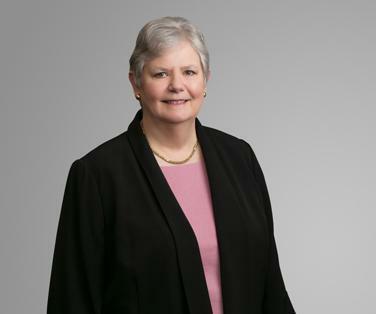 Marilyn served as the first Managing Partner of the firm’s Houston office after having practiced in the New Orleans office for thirty years. She is a Fellow of the American College of Commercial Finance Lawyers and the American College of Real Estate Lawyers, of which she currently serves as Vice-President. Bill's offshore practice includes master service agreements, offshore drilling contracts, rig sharing agreements, charters, flight service agreements, helicopter and vessel sharing agreements, and offshore construction and installation contracts and other maritime and energy-related agreements. He has also helped offshore clients integrate their contracts internally and following mergers or assignment of contracts (such as drilling contracts). Bill has also handled indemnity, insurance, and various other issues in connection with a variety of other offshore agreements, including production handling agreements, gathering agreements, joint operating agreements, and purchase and sale agreements. His practice also includes review and interpretation of various contractual insurance provisions and insurance policies (and related insurance disputes), which often arise in the offshore context. Property coverage, general liability, and marine insurance issues often become outcome determinative offshore. When an anti-indemnity act may apply, questions concerning additional insured status, scope of coverage, and other insurance clause issues can become critical. Disclaimer: The materials in this document are made available by Liskow & Lewis for informational purposes only and are not legal advice. The transmission and receipt of information contained in the document do not form or constitute an attorney-client relationship. Persons receiving the information in this document should not act upon the information without seeking professional legal counsel. The materials in this document may not reflect the most current legal developments, verdicts or settlements, and should not be considered an indication of future results.